In empty parking lots of Universities around the world, you may find a small-scale Formula One car racing. 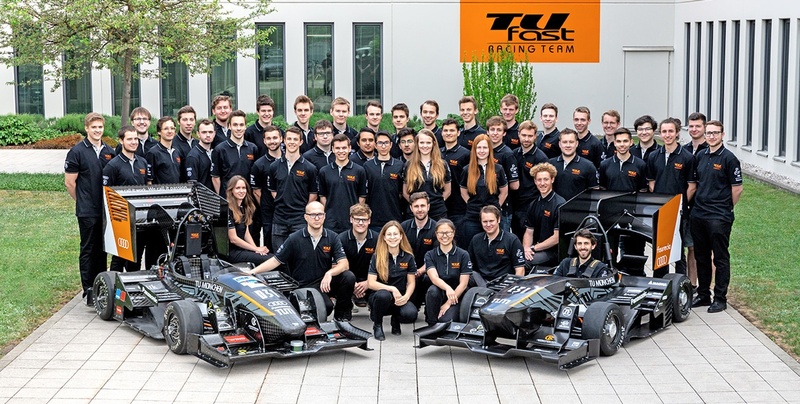 While the cars might look like cool go-karts - for one group, the Technical University of Munich’s (TU) TUfast Racing Team, it means stepping into the future. Team TUfast was founded in 2002 as a student initiative. Students of TU Munich jointly develop, test and race new vehicles for participation in the Formula SAE/Student competitions. One thing that makes the TUfast team so innovative is a unique housing in the wheel hub. Traditionally, a small power-dense motor crammed into the wheel hub would operate at high temperature; damaging the motor, the team’s ability to race, and endurance points. That’s why TUfast turned to the additive business of GKN Powder Metallurgy and the additive manufacturing (AM) process. By using AM, the metal housing can be designed small enough to fit precisely into the wheel hub. In an additive process, a designer only uses as much material as necessary. This not only reduces the weight of parts, but also material waste and print times. The TUfast racing team also designed topographically-optimized parts. The wheel packaged weight was reduced by about 0.6 kg. 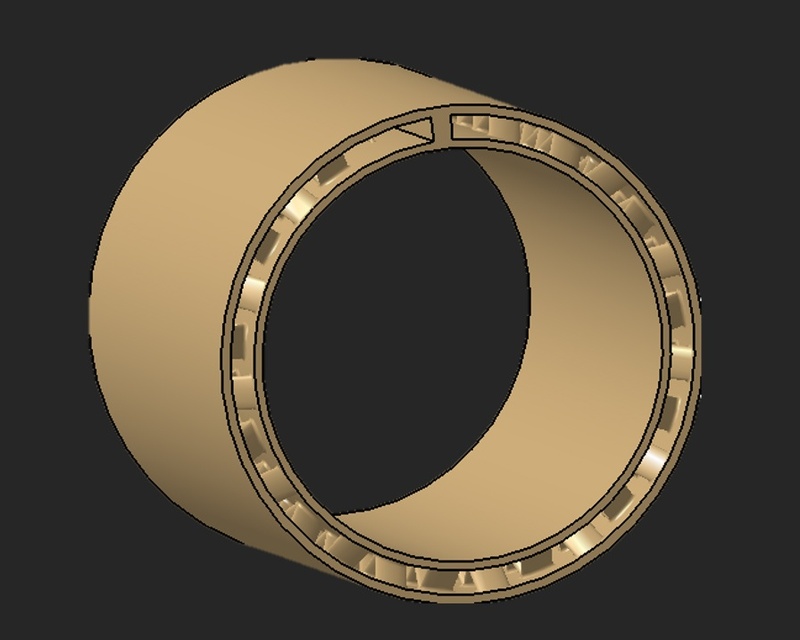 Software has been able to use this feature, but since it is difficult – nearly impossible - to manufacture a part this way with traditional processes, it wasn’t commonly used. Thanks to AM, today we are seeing brackets and even hydraulic manifolds shedding pounds in the transportation industries. 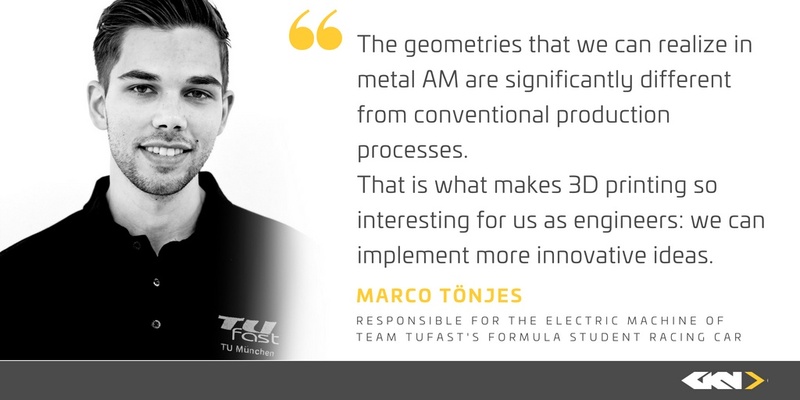 For more of an in-depth look, we spoke with team member Marco Tönjes, who is responsible for the TUfast racing team’s electric motor and its components to learn how the additive business of GKN Powder Metallurgy helped create a more efficient design. The TUfast team currently has over 70 members and is divided into multiple areas. You are responsible for the electric motor in the chassis area. What is your specific task here? The electric motor typically is not part of the chassis, but here it is because it has a wheel hub drive. And since it has a wheel hub drive, it has many interfaces to the chassis. I’m in charge of the design and construction of the components that comprise the electric motor. Several of the other teams that we compete against buy their motors. We prefer to build ours. The all-wheel drive wheel hub of this year’s vehicle combines the different drive components, and its functions are integrated in a compact and lightweight-optimized design for the lowest amount of space. 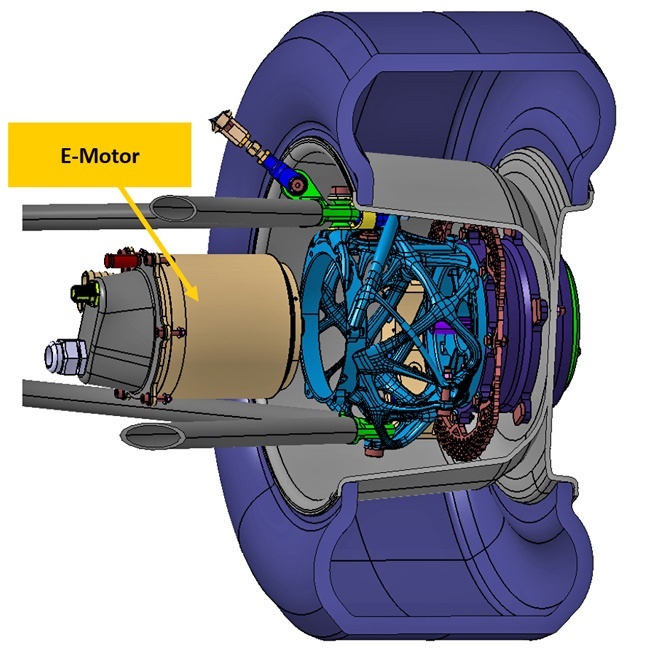 Next to the topology optimized upright, the gearbox and the braking system is the electric motor. The laser sintered aluminum body with the new integrated cooling structure is the centerpiece of the powertrain. The housing, developed in cooperation with the additive business of GKN Powder Metallurgy, was designed by us. Is the electric motor different this season than last season? Our cooling is fundamentally different that last season, which is why it was manufactured for the first time this year as an AM component. In recent years, it has been a simple turned part. The cooling channel has not been integrated in the recent part and it did not have such a unique structure: the cooling structure encloses the motor like a jacket and is fluid-dynamically optimized to maximize heat transfer. This is essential for the electric motor to deliver constant high power. Why did you choose AM for this component? Last year’s cooling system didn’t perform so well. To enhance our cooling performance, we designed a new concept with an integrated structure. The structure consists of an inner cooling channel with a special optimized pin structure. The cooling channel is directly integrated in the housing, in which the stator is casted. The manufacturing of this structure with its - despite the inlet and outlet - closed jacket structure, is not realizable with conventional methods. Additive manufacturing, or more precisely, laser sintering, is the only process that makes it possible to manufacture this component. What were the results of the new AM structure? The difference between our previous and latest structure is that the new cooling geometry leads to an increased heat conduction by 2% with the same mass flow. The decreased pressure drop across entire cooling system of the Four-Wheel-Driven Electric car leads to a 31% percent higher total mass flow. This increases the total heat conduction and efficiency of the cooling system by almost 20%. The peak loads are also rapidly cooled down. Will there be more printed components in the vehicle next season? Absolutely! Compared to the normal automotive sector, metal 3D printing is particularly versatile in racing. Especially for small quantities, it is a fascinating technology. You can do everything without needing a mold or a tool. The geometries that can be realized are significantly different from conventional production processes. That is what makes 3D printing so interesting for us as engineers: we can implement more innovative ideas. Why did you choose the additive business of GKN Powder Metallurgy as a partner? GKN is a well-known name in the market. It made sense for us to seek out their expertise. They helped us to further optimize the housing: we originally wanted to implement the adapter for the cooling connections as an integral part with the housing. However, GKN's engineers had a different approach. They suggested that we should separate the housing and connection adapter, as this significantly reduces the support structure required for production. The adapter, which is also laser-sintered by the additive business of GKN Powder Metallurgy, is now screwed to the housing with two screws. When will your car hit the track for the first time? The first race for our car is July 15 in Silverstone at Formula Student UK. There is a total of three races for us this season: in Silverstone, Hockenheim, and Barcelona. The research and design that these students are doing will help shape the future of electric vehicles and transportation. The skills learned by these students are a shrinking commodity. Companies that want to compete will need to find employees with these skills, and partners with experience in the AM industry need them to stay on the leading edge. Students like the ones from team TUfast and companies such as GKN Powder Metallurgy are already finding solutions and leading the charge on a new revolution in AM in the automotive industry. This knowledge is positioning themselves for a successful future by finding innovative ways to stay agile and efficient in a changing industry.